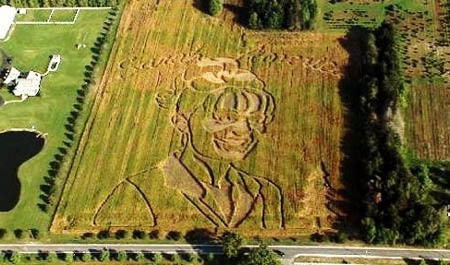 This puts the idea of getting into someone’s head in a new light: a corn field maze in the shape of Sarah Palin’s head. I don’t have much to say about it except that it’s another example of how Palin has become such an important cultural figure. (And I imagine the corn field’s owner is a Republican.) Not sure I’d want my face blown up to that size, though.